Feeling like your bathroom is getting a little bit shabby? Tired of staring	a faded cabinets that have lost their color and shine? 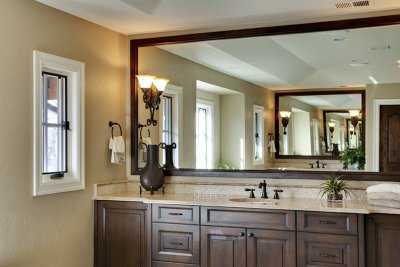 It’s time	that you contacted our bathroom refacing team at Capital Cabinet Refacing. For over 30 years, we have provided excellent refacing services for our	neighbors in Fairfax, Burke, and the surrounding areas and can do the	same for you. With our attention to detail and creative staff, we can	find a finish that will breathe new life into your bathroom. Before you decide to replace your old, worn down cabinets, let our refacing	specialist inspect your cabinets and provide you with possible alternatives	to your problems. Save yourself thousands of dollars by considering our	refacing surfaces today! To get started,	contact our office today by calling (703) 835-7992!